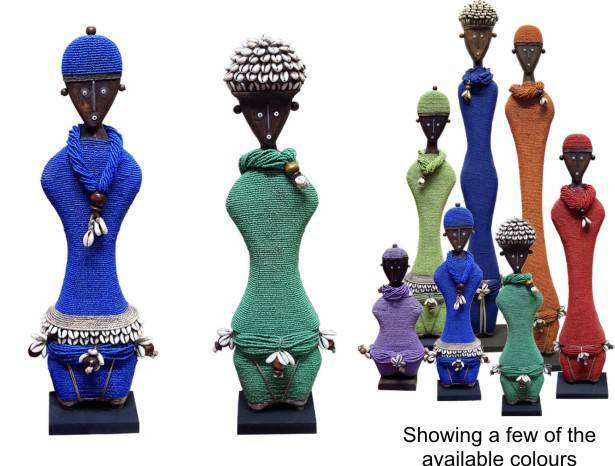 Available in a variety of bright colours these beaded, wooden figurines add a touch of Africa to any decor. Traditionally used as a fertility charm these beautifully hand carved sculptures are unique and varied in design and features. As they are handmade from a natural material they may vary slightly.